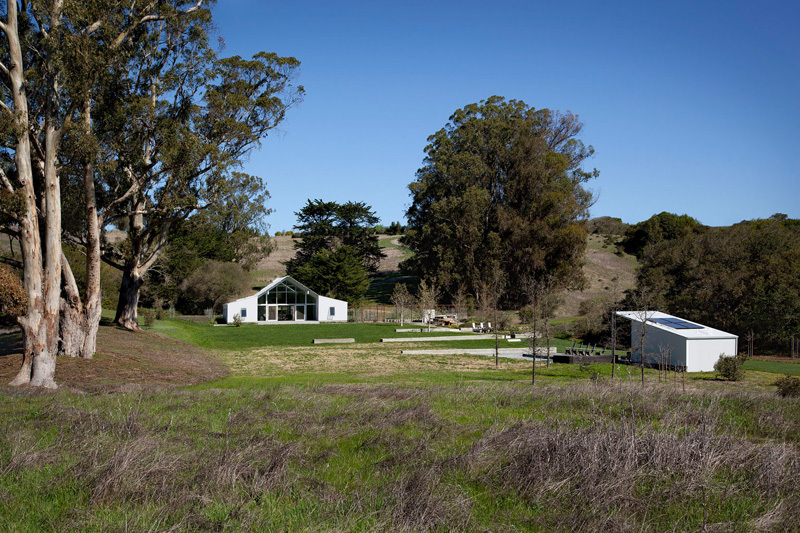 Architecture firm Turnbull Griffin Haesloop, have designed the Hupomone Ranch, located on an original 160-acre homestead in the Chileno Valley, near Petaluma, California. 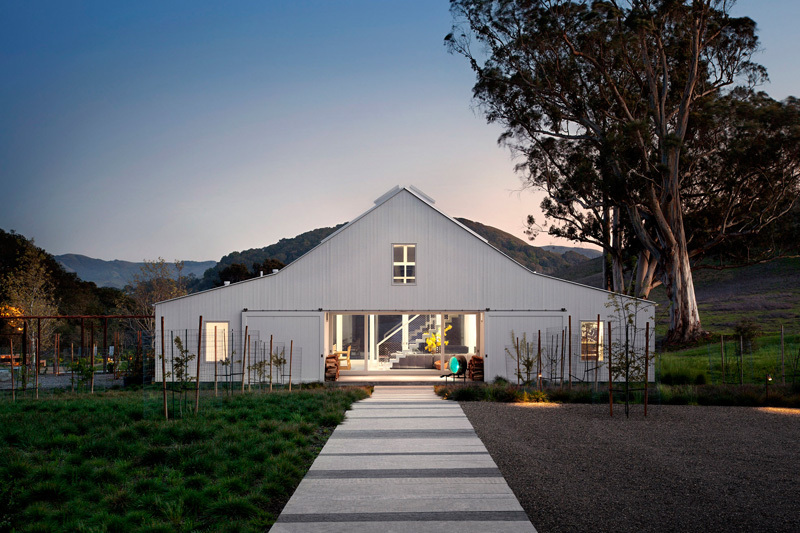 The architects were tasked to build a barn house for the owners, a young family with three children. Interior designer Erin Martin, created the interiors to compliment the flow of indoor/outdoor living. The light-filled living area opens up to the long view south, and gathers the bedrooms and kitchen to either side. 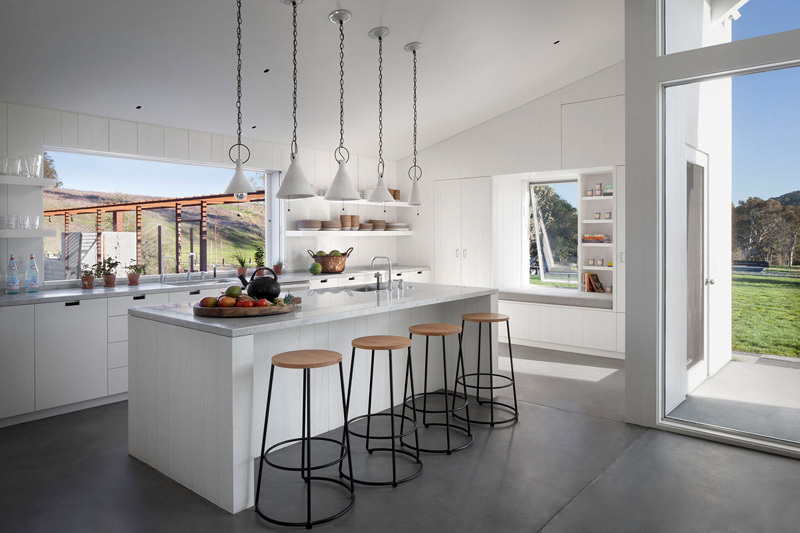 The kitchen has slide away windows that open directly to the garden. 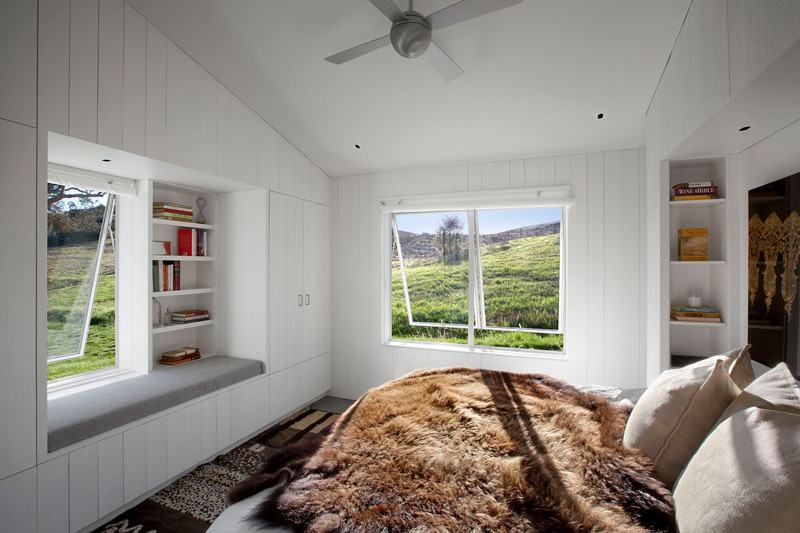 This bedroom features a custom built-in window seat and bookshelf. The bathroom has views of the surrounding area, perfect for relaxing in the bath. 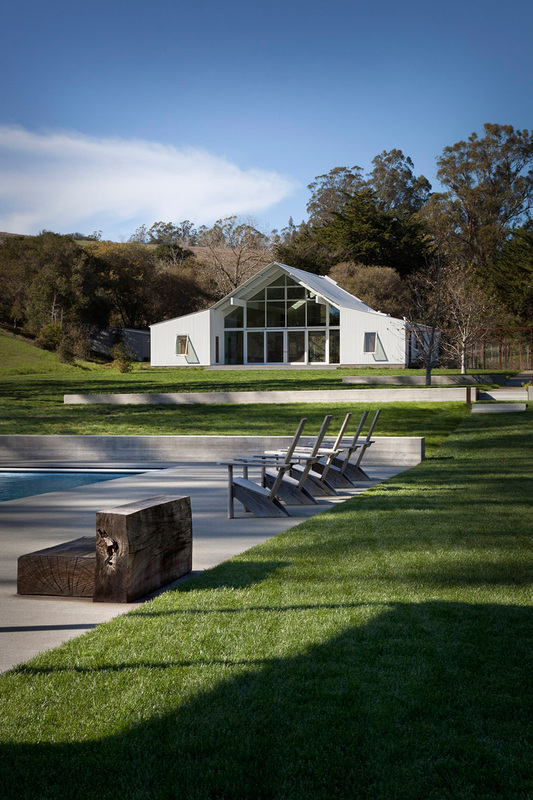 An integral part of the design was the landscaping by Lutsko Associates, which includes several outdoor living areas. 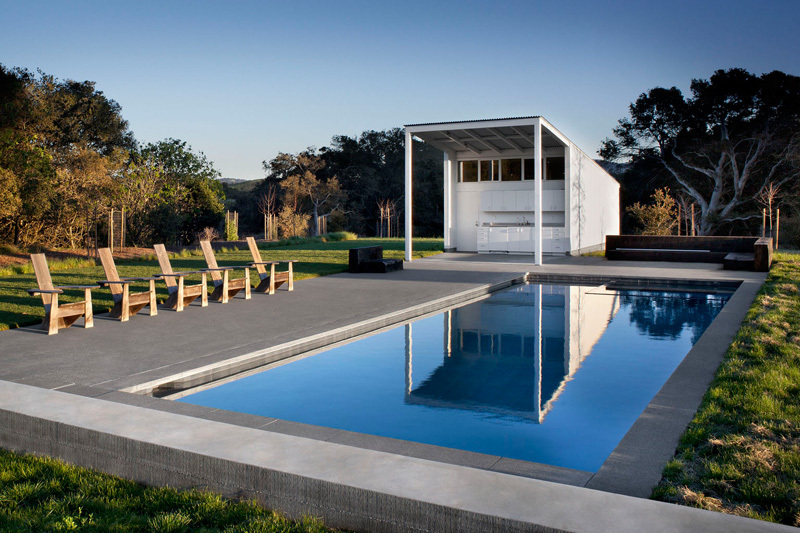 Beside the pool is an additional building that houses an outdoor kitchen.